A Carlow-based whiskey maker is to generate 55 jobs over the next few years with a €25m expansion. Walsh Whiskey Distillery is to build a new craft distillery at Royal Oak in Carlow with funding from Italian drinks company Saronno. Minister for Jobs Richard Bruton welcomed the announcement, saying the new distillery will help Irish exports and is a model of what the Government is trying to achieve. The expansion will create 55 permanent and part-time jobs in the Carlow area over the next five years, where the whiskies will be distilled, crafted and aged. As well as that, 40 jobs will be generated during the 18-month development phase, starting next spring. The project is subject to planning permission. Irish whiskey has been the fastest growing spirit in the world, growing from 4.4 million cases in 2008 to 6.5 million this year. It is expected growth will continue with sales of Irish whiskey expected to double to over 12 million cases in the next five years. 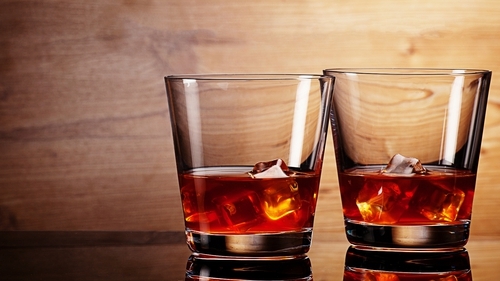 Saronno sells Disaronno, the world's second largest premium liqueur, and Tia Maria. Walsh Whiskey was founded in 1999 by Bernard and Rosemary Walsh from Carlow. They currently have a portfolio of six Irish whiskies under The Irishman and Writers Tears brands, the Hot Irishman Irish coffee and The Irishman Irish Cream liqueur.